Submarines are a subject of curiosity till date. Specially the one which goes under water with a mission. The purpose was first solved 63 years back when a Nuclear powered submarine that came into existence. A great strength for any army, USS Nautilus was brought to the World today in 1954 by the Superpower America. 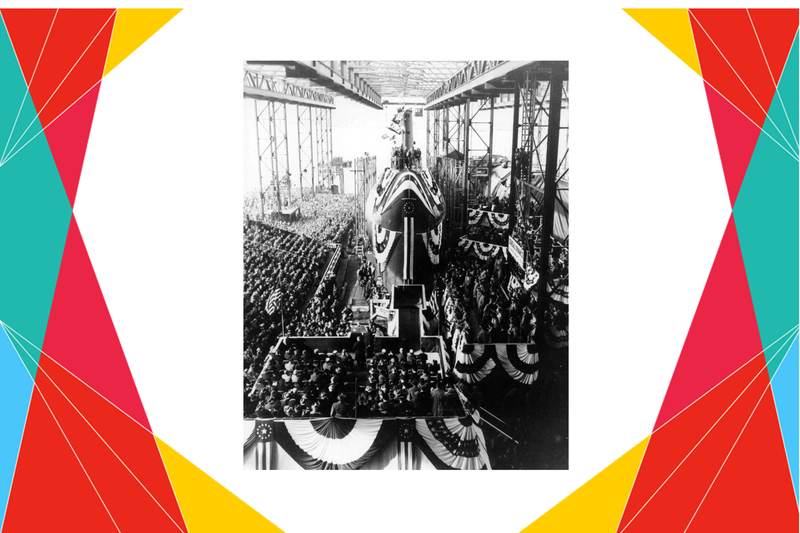 It was christened by First Lady Mamie Eisenhower and launched into the Thames River. 1. Nautilus was the first vessel to complete a submerged transit to the North Pole, on 3 August 1958. 2. It traveled nearly 1,000 miles under the Arctic ice cap to reach the top of the world. 3. Nautilus could remain underwater for up to four months without resurfacing. 4. Nautilus participated in a variety of exercises and testing. 5. In its career spanning 25 years it steamed almost 500,000 miles. 6. The Nautilus was decommissioned on March 3, 1980. 7. It was designated a National Historic Landmark in 1982. 8. Nautilus was converted to a museum ship and returned to Groton, Connecticut in 1986. 9. It is now part of the US Sub Force Museum. 10. The idea for a nuclear-powered submarine was first proposed in 1939.